Sudanese security forces have arrested a top opposition leader following a crackdown on new anti-government demonstrations held in several cities on Friday. The protests were the latest in a wave of demonstrations that began across much of Sudan on December 19, first against a rise in prices but later against the government of President Omar al-Bashir, in power since a 1989 military coup. The demonstrations coincide with worsening economic woes that saw a currency devaluation, fuel shortages and a steep rise in the price of bread, a main fare for most Sudanese. The opposition Sudanese Congress Party said that a few hours after protests began in Omdurman on the west bank of the Nile on Friday, its chief, Omar el-Digeir, was arrested by security forces. The Sudanese Writers’ Association said that well-known poet, Mohamed Taha, had also been arrested on Tuesday after he participated in a protest in Khartoum, the capital. Nineteen people have been killed so far in the crackdown on protesters, the government said, but Amnesty International put the death toll at 37 since December 19. 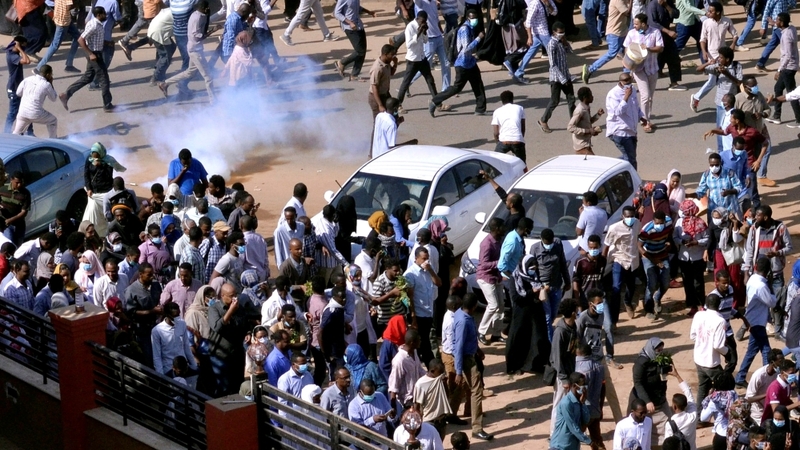 The UN on Friday called on the authorities in Sudan to investigate the deaths. Police on Friday fired tear gas at hundreds of worshippers who staged demonstrations in the railway city of Atbara north of Khartoum, Obeid in the western North Kordofan province, and Senar and Wad Madani south of the capital. Photographs posted by activists on social media showed thick plumes of smoke rising from some neighbourhoods in Khartoum as protesters burnt garbage and tyres. In Omdurman, crowds of worshippers chanted “Freedom, Peace, Justice” as they poured out of a mosque belonging to main opposition National Umma Party, a witness said. Al Jazeera’s Hiba Morgan, reporting from Khartoum, said the demonstrations against the price hikes are morphing into a national movement against the government. “It is not only these protests that people have been carrying out to try to voice their demands, some of them have also been on strikes, doctors have announced that they are going to go on a strike until the government steps down. “Many journalists are also marching in solidarity of those who were harassed and arrested while covering the protests, they also said they will go on a national strike against the government,” Hiba said. A group of opposition parties met late on Thursday and agreed to “push for more protests” in the coming days, the Sudanese Communist Party said in a statement. It is not the first time al-Bashir has faced protests against his rule. There were demonstrations in January over the same issues, with police using tear gas to disperse hundreds of protesters in Khartoum. Similar protests were held in Sudan in late 2016 after the government cut fuel subsidies. The oil-rich country’s economy was badly affected when it split with South Sudan in 2011 and the government is also battling several rebel groups.